Time and again we've seen how content marketing impacts businesses. And we've been able to share this cool experience with clients, watching some of them go from skeptics to believers. Now we want to teach more marketers and business people how this works and what your next steps can be. Join us next Wednesday, March 14th to learn more! We have been believers in content marketing since the get-go. This strategy allows you to help people through informative and free content, while it then also attracts the right users to your business. However, the initial investment is daunting for some. To build up content, it takes a solid workflow and commitment from you and your team to follow through on the writing, publishing and sharing. Then to see leads and even generate sales, you need an understanding between you and your sales team with a structure to execute your next steps. A lot to consider, right? That's why we are offering an intensive with experts that have done this process hundreds of times. All you need to do is register and be here next Wednesday morning. 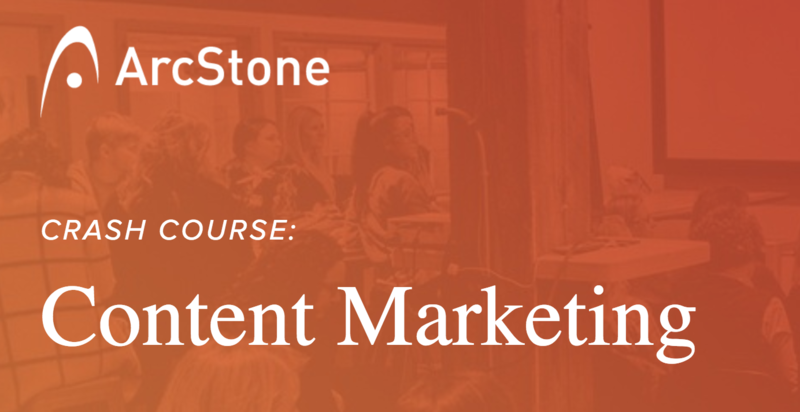 We want you to walk away with a solid understanding of how content marketing can impact your organization, our proven-framework for moving forward and an excitement to get started.